GYR Films recently hosted a press conference in Karachi for Pakistan’s first superhero film, Project Ghazi set to release on July 14, 2017, where the trailer of the film was showcased to the members of the media for the first time. #ProjectGhazi is directed by Nadir H. Shah and produced by Syed Mohammad Ali Raza. The action sci-fi has been completely shot in Pakistan and stars Sheheryar Munawar, Syra Shehroz & Humayun Saeed in pivotal roles. Background score has been composed by Taurees Habib, who has been part of the music team in Hollywood film & television productions like Interstellar, Batman vs Superman, Man of Steel (Superman) to name a few. “I am honoured to have worked with a team of extremely talented individuals who have put their all in the movie.” shared Syed Mohammad Ali Raza, Producer of the movie. “It’s a unique genre for Pakistan and could open doors for new and unexplored stories to reach audiences.” said Nadir H. Shah, Director of Project Ghazi. 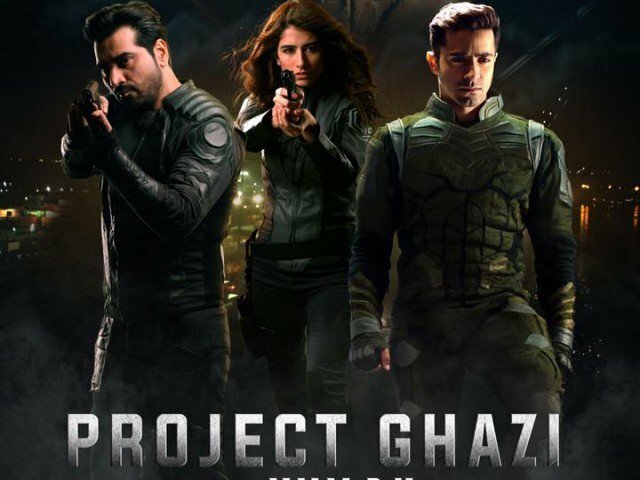 Project Ghazi is the first ever super hero movie to be made in Pakistan and the cast includes Syra Shehroz, Sheheryar Munnawar, Humayun Saeed, Aamir Qureshi, Adnan Jaffer, Raza Hyder and Nusrat Hidayutullah. Project Ghazi’s story is all about Pakistan’s super soldier program and it is a battle to defeat a sinister organization bent on creating chaos and mayhem across Pakistan. Previous Posts Hamza Ali Abbasi just gave nation another advice and this time everyone praising him for this. Next Posts Eid with celebrities, that's how all the celebrities celebrated Eid 2017.